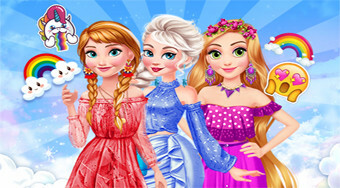 Do you like Disney Rainbow Dressup? Share it with your friends. Select Andu, Moana, Tian, Merid, Elsa, Ariel and Rapunzel for rainbow-colored clothing.